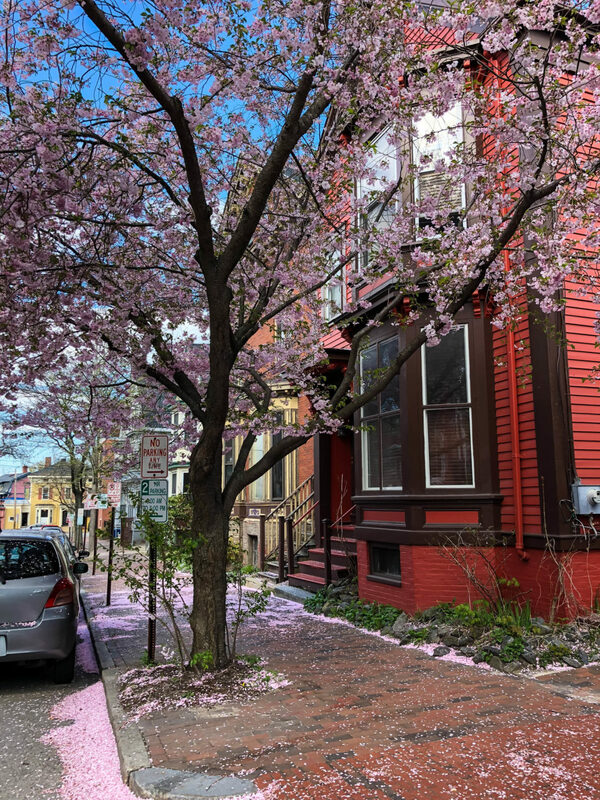 Earlier this month, photographer Amy Sturg spotted this beautiful spring scene on Carleton Street — a neighborhood graced with Victorian-era homes that survived the various fires that broke out in the city in the 19th century, including the Great Fire of Portland. 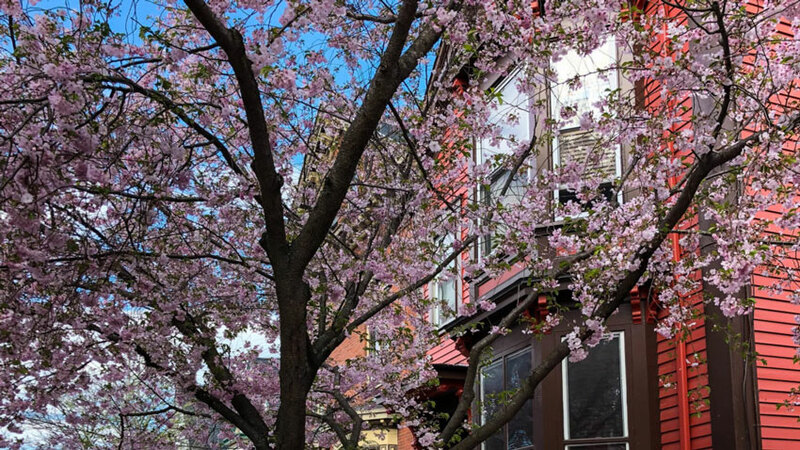 Check out the other photos from Amy’s walk around Portland’s historic West End here. Please send me more information on this home, and the Camden home, at Sherman Point that you sent out recently, yesterday I believe. ( I believe I inadvertantly deleted it, and am very interested in that property). Hi, Mr. Chisholm! We’re sorry to say we do not have more information about the home above, but here is a link to the Sherman Point home we posted yesterday: https://mainehomes.com/shermans-point-perch/.